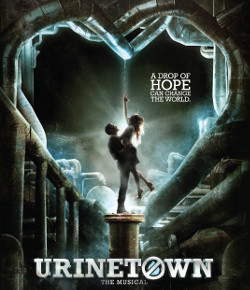 St James Theatre has confirmed it will be hosting the UK premiere of Tony Award-winning musical Urinetown from 11th March to 3rd May 2014 (previews from 22 February). Directed by Jamie Lloyd Urinetown's writers are Mark Hollmann and Greg Kotis (who the idea came to as he was backpacking across Europe, ran out of money and was locked out of where he was staying most days. He spent a lot of the time trying to use the bathroom, but everywhere he went he had to pay for it. So he thought "what if everyone was in the same condition I was, what kind of world would that be?" Urinetown is set in a Gotham-like city of the future which has been inflicted with a terrible drought and business tycoon Caldwell B Cladwell has made his fortune through bribery and the monopolization of all public toilets. With a brutal police force maintaining law and order, it’s not a place to get caught short! Risk it and you will be sent off to a place no one returns from the infamous Urinetown. The city needs a revolution and every revolution needs a hero to leading the people in an uprising against private toilets. Casting is still to be announced with Lloyd saying it will comprise a mix of "established musical theatre stars and newcomers to the genre". He also revealed that he hopes the St James run can provide a "springboard" to a more permanent West End home. Urinetown is designed by Soutra Gilmour, with choreography by Ann Yee, lighting by Adam Silverman, sound by Terry Jardine and Nick Lidster and musical supervision by Alan Williams. 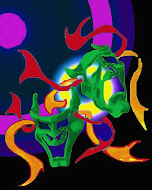 It is produced by Julian Stoneman Associates and The Araca Group.